We extend our best regards and appreciation and wish your Excellency health and wellness. In reference to the subject above, dozens of employees (male and female) have recently been forced to retire early following a recommendation from the heads of government departments as well as the decision of the Council of Ministers. Civil Society Organizations (CSOs) have observed this issue with great concern as it is connected directly to the rights of public sector employees, and naturally the rights of their families and children. 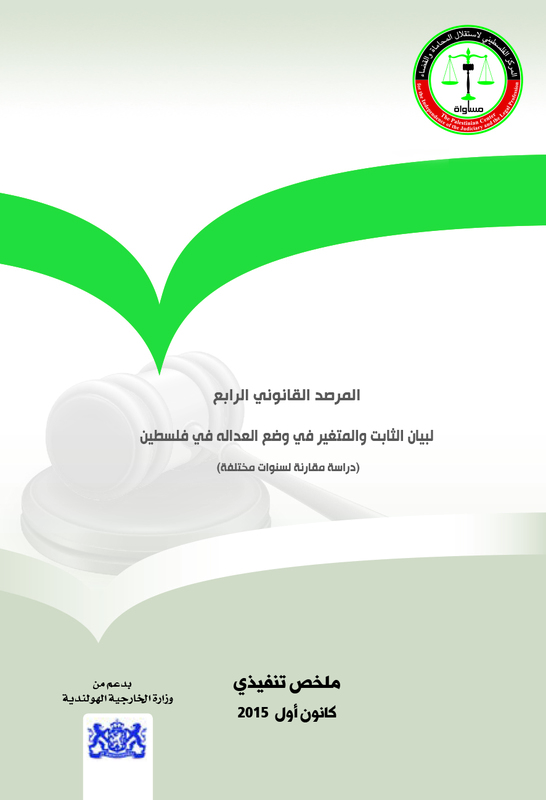 Based on the CSOs’ observations, it was clear that the referrals to retirement violated the agreements to which the State of Palestine had acceded without reservations, in particular the International Covenant on Civil and Political Rights; the International Covenant on Economic, Social, and Cultural Rights; and the Convention on the Rights of Persons with Disabilities. In addition, the referrals infringed the Basic Law, the Civil Service Law and its amendments, and the Decree-Law on the Early Retirement of Civil Servants No. (17) of 2017, as well as clear violations of the rights of public officials and the violation of human dignity. Not to mention the fact that they involved clear violations of the rights of public officials as well as their human dignity. According to the written statements, the decisions on early forced retirement, the annual performance assessment, and the relevant papers obtained by the human rights organizations that followed-up on this issue, the said referral decisions clearly affected the youth. It was also clear to the human rights organizations that there were no grounds or criteria to be followed in the process of forced retirement, and that no employee had been informed of the reasons behind their forced retirement, knowing that the annual performance assessment reports of the employees who were forced to retire early had ranged between “excellent” and “very good”, and some of them are holders of MA and PhD degrees. Moreover, the human rights organizations discovered that some employees were referred to retirement for exercising their right to freedom of expression or for reporting corruption crimes in the ministries where they work, not to mention the workers who were forced to retire because of "disability", meaning that their disability was the only reason for their referral to retirement. Accordingly, the CSOs suspected that misuse of power was involved in the said referrals, which urged the human rights organizations to address the issue by sending several letters to the Prime Minister as well as the respected ministers, to which they have not received any response yet. On the other hand, the workers who were forced to retire, along with their families, held peaceful sit-ins and protested in a civilized manner in front of the Council of Ministers for three consecutive weeks to demand that they be treated fairly and that a fair remedy is sought to address their issue. However, they were not heard out by any of the government officials. The Palestinian CSOs affirm that they have all the files with all the details that clearly indicate the extent to which the procedures of the said referrals violate the international conventions, the human rights principles, and the Palestinian legislation. The CSOs are fully prepared to deliver these files to you immediately, and they hope of you to give orders to take the legal action necessary to establish an independent committee which comprises of members who are recognized for their competence, professionalism, independence and impartiality to review the relevant files and to hear the statements and grievances of the employees who were forced to retire, within a specified period of time, by which those found to be involved in abuse of power in this regard are held accountable, and we are fully prepared to cooperate closely and constructively with the said committee in order for it to accomplish its tasks in a timely manner.